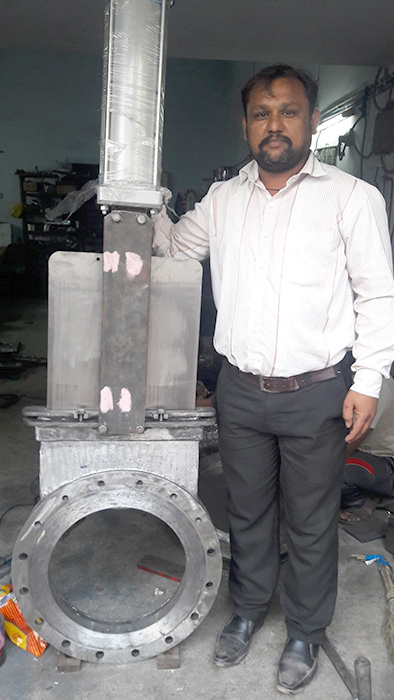 Established in 2010, in Ahmedabad (Gujarat, India), we, “Chamunda Engineering Solutions”, are a renowned manufacturer and supplier of high quality Industrial Valve, Moisture Separator, Quick Release Coupling, Cam Lock Coupling, Pneumatic Fitting, Hydraulic Fitting, etc. Today, in this most competitive stage no company is going to compromise with the word “Quality”. We believe same while providing our products to our clients. We are expert in the field of making Industrial Valves & Fittings and regularly satisfy its demands in Oil, Gas, Power, & Pharma sector industries to meet their bottom line goals. Our valves are specialized for Oil & Gas sector industries and proved our Quality by supplying major oil industries. The complete product range offered by us is manufactured using quality tested raw material in compliance with defined standards. Our product array is highly appreciated for the features like high strength, dimensional accuracy, easy installation, corrosion resistance and durability. We also make available these products in several specifications as per the needs of the clients. We are providing our products with brand name Ceson. Since our inception, we have been providing our esteemed clients with high quality products. Our well established infrastructural base is well segmented into different sections for organizing the business operations in a systematic manner. The segmented departments are handled by our experienced professionals who ensure smooth & hassle-free business process. Well-equipped with the advanced tools and machinery, our infrastructure assists us in manufacturing the qualitative products in complete compliance with defined quality standards. We are a client-centric organization working with an objective to gain the utmost client satisfaction by delivering them superior quality products. We also make available the offered products in a best quality packaging material for ensuring the safe delivery of product array at user’s end. The reasonable price, easy payment options, on-time delivery, transparent dealing and client-centric approach, have helped us to achieve renowned clients such as Welspun Group, Torrent Pharmaceuticals Ltd., Adani Power Ltd., Punj lloyd Ltd., Indian Oil Tankings Ltd., Samsung Engineering, etc.